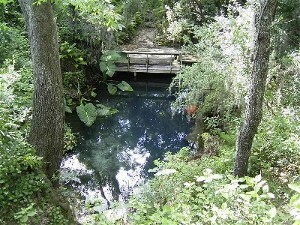 Located about 2.5 hours northwest of Orlando, Alexander Springs is a state park. Most of the people there snorkel and swim, but it’s also a popular site for scuba training. Open water classes are out there on a regular basis. The bottom of the basin is only about 25 feet deep. The spring is definitely a high flow system, but the caverns get too small, too fast to do any kind of penetration. The place is teeming with fish and turtles, though. This is a good place to try out new gear or just get wet if you don’t want to drive any farther. No air available on site. No dive shops that close either, so bring enough tanks with you. Two should do it. Listen for the resident ‘gator that lives in the brush to the right of the spring. He croaks a lot, but he never came out. We were ready with the camera, though, just in case! Located in Williston and privately owned. Another place used primarily for training. The max depth is about 105 feet. Just follow the thick yellow rope down around the huge boulder in the center. 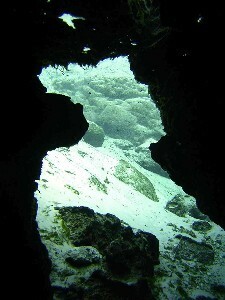 This technically is more than an open water, or even cavern, dive. There is no direct ascent once you hit about 60 feet. This is a low flow system, but the viz still stays pretty clear. There are a couple of platforms to practice skills on. They also have an air bell at about 25 feet under the ceiling, so if you want to come up to talk you can without ending the dive. You should check it out just to say you did it. They do have air on the site, but it’s not O2 clean, and more than a couple of dives and it gets a little old. Not much to see, including fish. It’s more of a been there done that dive. 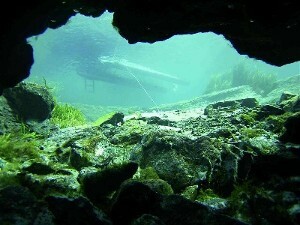 While in Florida we also did some diving in Blue Spring, located about an hour north of Orlando in Orange City. 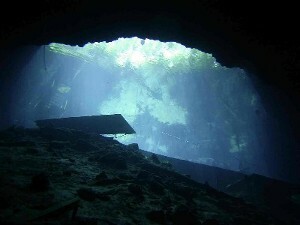 The spring gets to a depth of over 130 feet, but it becomes a cave dive at about 100 feet. 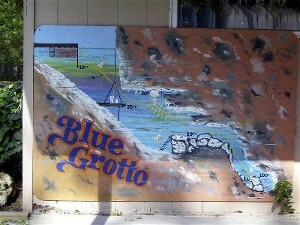 There is a small cavern at about 20-35 feet, depending on where the water level is. 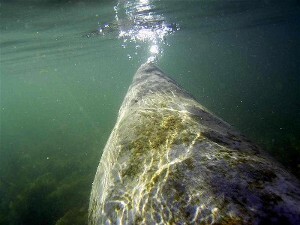 The tree trunks you see in the photos are located about 20 feet down and are a great place to do your safety stop. You need to hold on to keep the current from pushing you to the surface. We had to pull ourselves down the rock walls to keep from being blown out by the current. This is definitely a high flow system. 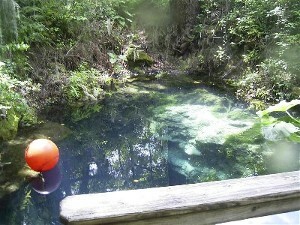 On one of our trips to Florida, we dove Blue Spring again and the water level was about 10 feet lower than the previous time. This caused less resistance at the surface, which meant a much stronger flow. We had to “climb” down the walls just to submerge. Not a recommended dive if you aren’t sure of you’re ability to do this. One slip and you shoot to the surface! After our snorkel, we went over to King Spring, located in Crystal River, to check out the plaque and do a quick cavern dive. The cavern bottoms out at a depth of 55 feet and has some small rooms that can be penetrated with care. Make sure to do this dive only if you’re cavern certified or with a certified guide. Another privately owned spring, located not too far from Williston. The spring also lives up to its name. 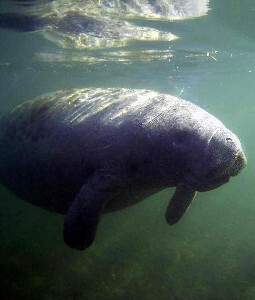 The surface is very small – about 50 x 75 feet – and is nestled in the middle of several trees. You walk down a path to a platform and just climb down the stairs into the water. Descend and check out the cavern located behind the stairs. 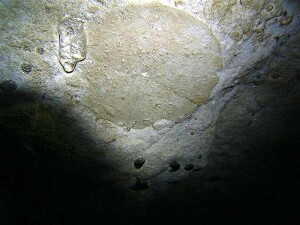 Lots of fossils are embedded into the walls and ceilings. 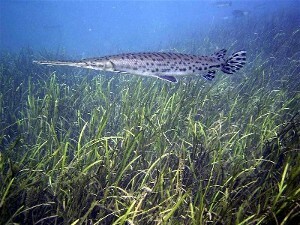 There are also a few fish that reside in this area. Only spend a couple of minutes here, though. Head for the rope and drop down to 100 feet, where you’ll find the grim reaper sign. Here’s a photo of the view from there:About 15 feet beyond the sign you’ll see a prehistoric spine. Don’t touch it! 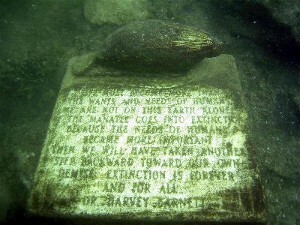 This thing is old and it should be left alone for other divers to enjoy! Directly past the sign is a small entrance to the cave system. 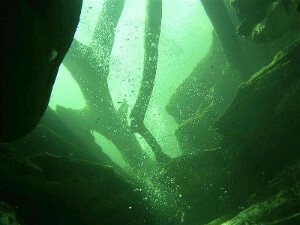 It only goes down to about 140 feet before it gets too small for a diver to pass. Don’t do this unless you’re trained for it. Once you’ve hit your bottom time, head back up the line and spend the rest of your dive in the cavern exploring all the fossils. There is air available on site. It may take some time to get a fill though if you bring your own tanks. It’s also not O2 clean. Two to three dives here will easily keep your attention. 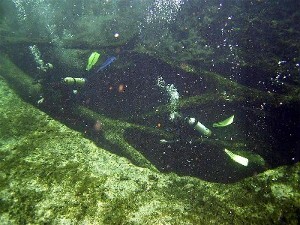 We also did some diving in Rainbow River, located about 20 miles from Crystal River. 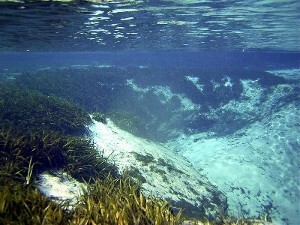 Rainbow River is actually a huge spring. You can see the sandy bottom percolating throughout the river. There are a couple of large springs that feed several million gallons of water through it a day. The river has about a 1-2 knot current in most places. If you swim in front of one of the springs, it will blast you away. Check out the awesome visibility! Unfortunately, since we first visited Rainbow River in 2005 the conditions there have deteriorated quite a bit. Visibility is no longer as great as it was and vegetation has taken over the river so doing a drift dive is close to impossible. The vegetation keeps forcing you to the surface to go over it. This is unfortunate because it was such a beautiful place at one time.